This review shows that CryptoRobot.software is a scam that can only lose your money. What is CryptoRobot? Its website says only that it is a robot that makes money automatically 24/7. Such a money making machine must cost a fortune, right? Well, Crypto Robot is free. Isn’t it strange? Of course it is! The truth is that Crypto Robot Software is a scam robot that won’t make you any money. In fact, no free robot will make you any money, because money is the opposite of free. CryptoRobot uses a software that we have seen many times in action, only investment scam are using it. 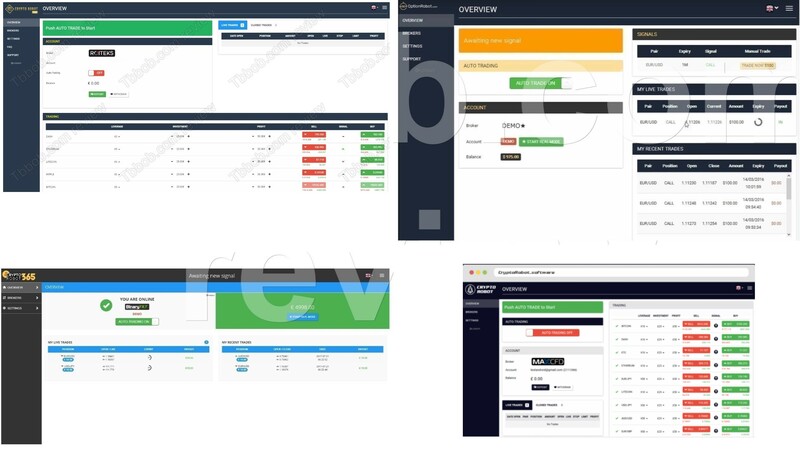 Look at our comparison on the picture, you will see that the same trading software is used for example by OptionRobot, Crypto Robot 365 and Crypto Robot Pro. All these programs are scams that are losing money. 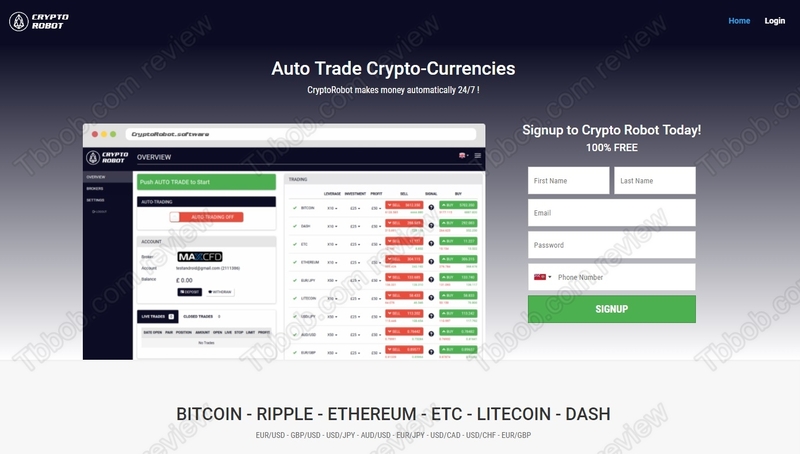 This software also has a demo mode, which, at this time is not active on CryptoRobot, and this testing mode is faking results. It generates a lot of fake profits based on a fake price feed. So if you see a demo on the robot, don’t trust it and compare prices with a real broker. The real purpose of Crypto Robot is to make you sign up and deposit with a certain broker, like MaxCFD or Roiteks. It’s because people who run the robot are affiliated with these unregulated brokers, they get paid for every new depositor they refer. This is how they make money and this is why they can provide you with a losing software. You will realize that you were scammed only after they get paid their commission. Crypto Robot Software is a scam robot that is going to take your deposit and lose it with an unlicensed broker. Stay away from it! If you are really interested in cryptocurrency trading, try a genuine free demo account with a regulated broker. You can use the demo to test and learn before you eventually start trading with real money.